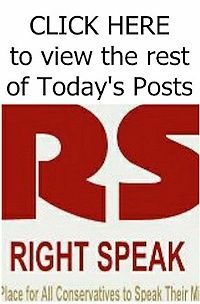 Republicans are trying to boost their early-voting efforts after lagging behind Democrats in the past two election cycles, spending unprecedented sums at the state level and launching a national campaign to get GOP voters to cast ballots before Election Day. With early voting beginning Friday in three states, the GOP's efforts have the potential to affect the outcome of close races. Campaigns that bank early votes can then spend their resources chasing supporters with less reliable voting histories, who may need a push to the polls. 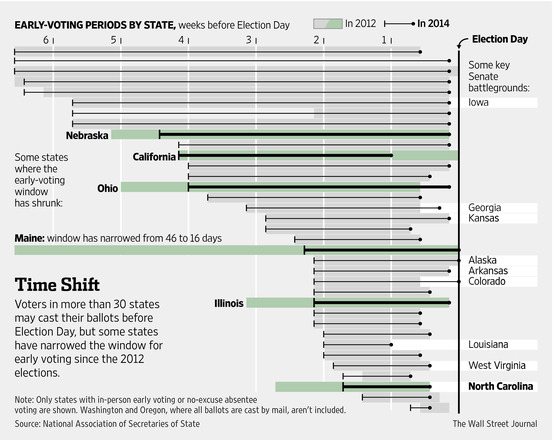 Thirty-five states allow some voting before Election Day, with Oregon and Washington conducting their elections entirely by mail starting in early October. 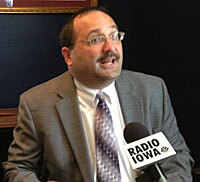 An immediate focus of Republicans' campaign is Iowa, where early voting begins next Thursday. The state party has gone from investing nothing in its 2010 early-voting push to more than $1 million this year, Iowa GOP Chairman Jeff Kaufmann said. At the same time, the Republican National Committee on Friday is launching an effort to get GOP voters to commit to casting ballots early, with a campaign that mimics the social-media-driven "ice bucket challenge" that raised money for disease research. Iowa, where GOP state Sen. Joni Ernst and Democratic Rep. Bruce Braley are competing in one of the closest Senate races in the country, illustrates the challenge Republicans face and how far behind Democrats they remain. 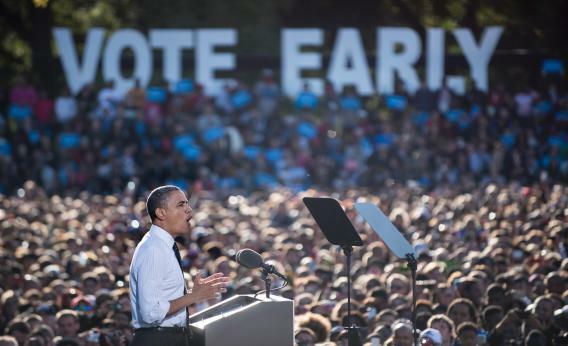 Democrats there cast 29,000 more early ballots than did Republicans in 2010—though the GOP swept top offices that year—and 68,000 more than Republicans in 2012, when President Barack Obama carried the state for a second time. To help catch up, GOP Gov. 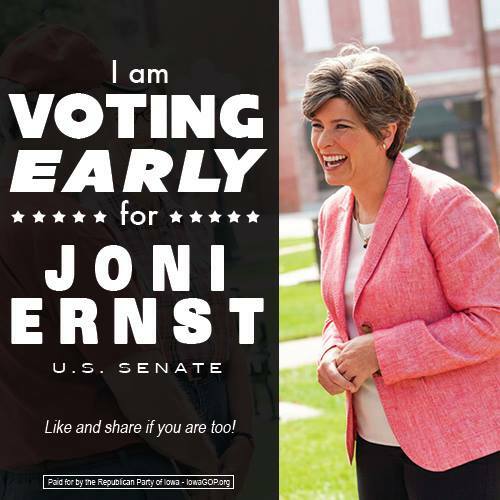 Terry Branstad is touting early voting in Facebook messages, and the statewide GOP ticket is scheduled to appear at an "early voting kick-off rally" in Davenport next Thursday.